Alex has worked in the A/E/C industry since 1987. His first job while in high school was for an electrical contractor where he learned to generate electrical shop drawings. 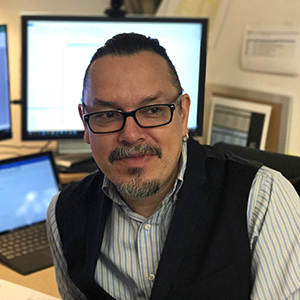 His hands-on education in multiple disciplines provides the foundation for his approach to project management and construction administration. Construction administration, IT support and his good sense of humor. Being a guru of construction administration, and bringing back lessons from the field to the office. Much of his time is spent at the project site working hand-in-hand with the clients, construction mangers and contractors.